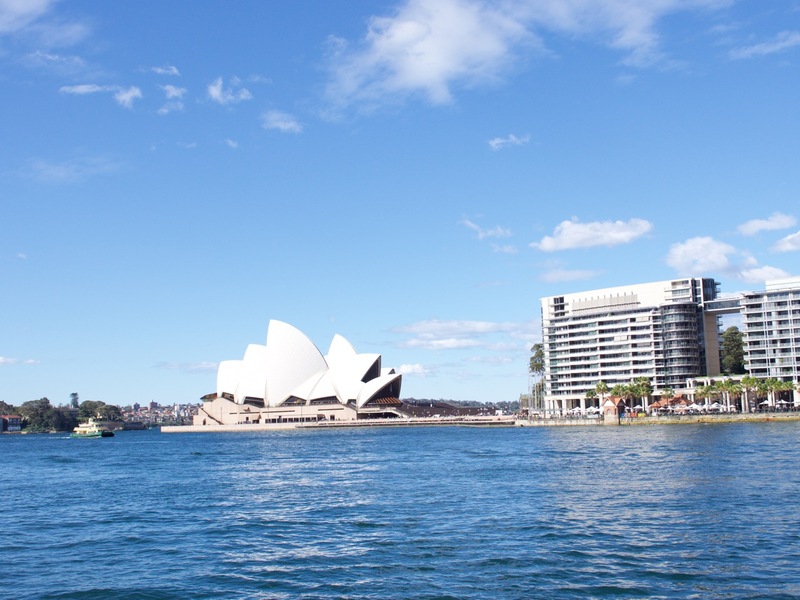 The first stop on our trip was Sydney, New South Wales, Australia. For those of you who are geographically challenged, Sydney is not the capital of Australia, but it is the largest city. We stayed a week there. It felt to me a lot like any large city in Europe or America — high population density, good public transport, and high prices. We stayed in a hotel for a couple nights and then transferred to a room in an Airbnb in order to save some money. Looking back through my photos a couple weeks later makes me think that Sydney was both very familiar but also very different to me. 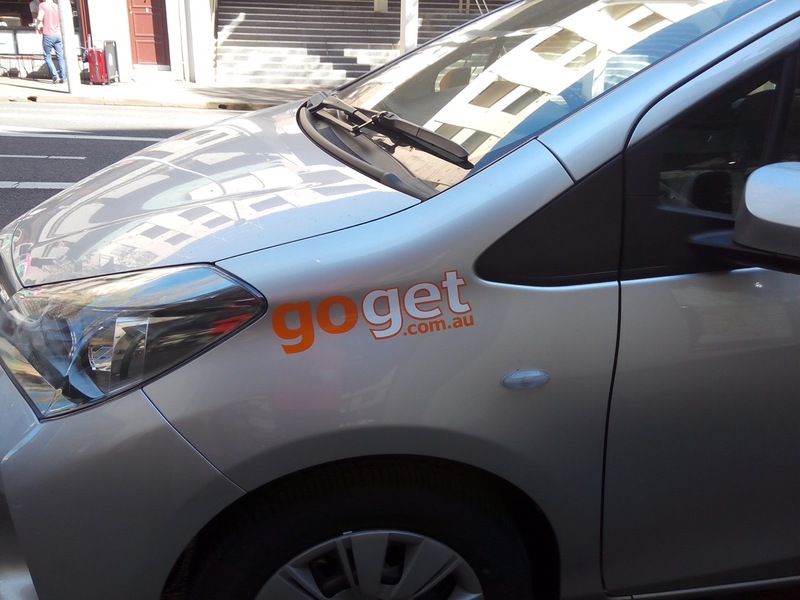 Just like Denver, they have by-the-hour car share programs. Here’s a photo of Beth and me sitting on a park bench under a tree. We try to get a photo like this in every city we visit. 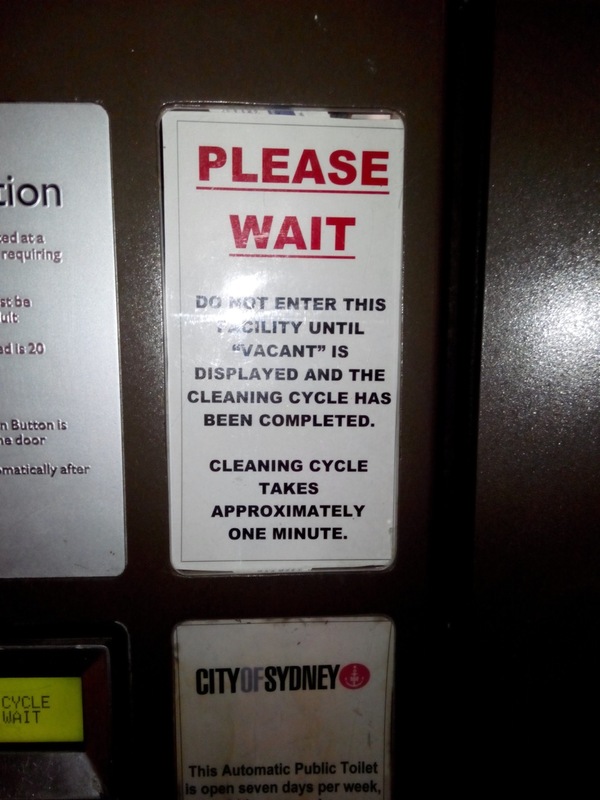 I used the most amazing and wonderful public toilet in Sydney. When you step in, the door closes and locks behind you to keep out turd burglars. When you finish your business, you hold your hands in a little alcove and it automatically squirts liquid soap onto them, and then sprays water so you can rinse, and then it blows hot air on them for drying. 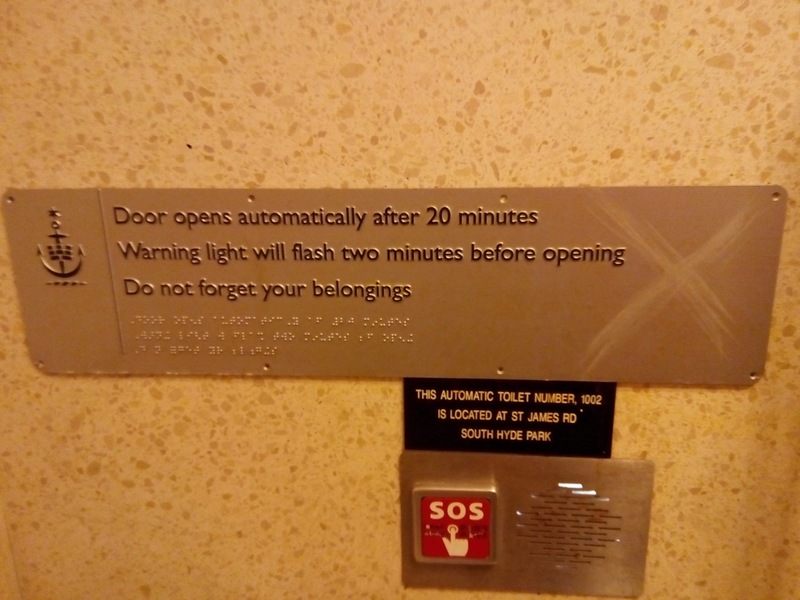 When you leave, the toilet automatically flushes, and then it goes through a cleaning cycle where the floor is washed. The waste water from that falls down through the floor, which is actually a metal grate. Oh, here’s a reminder that I packed a lot of stuff. 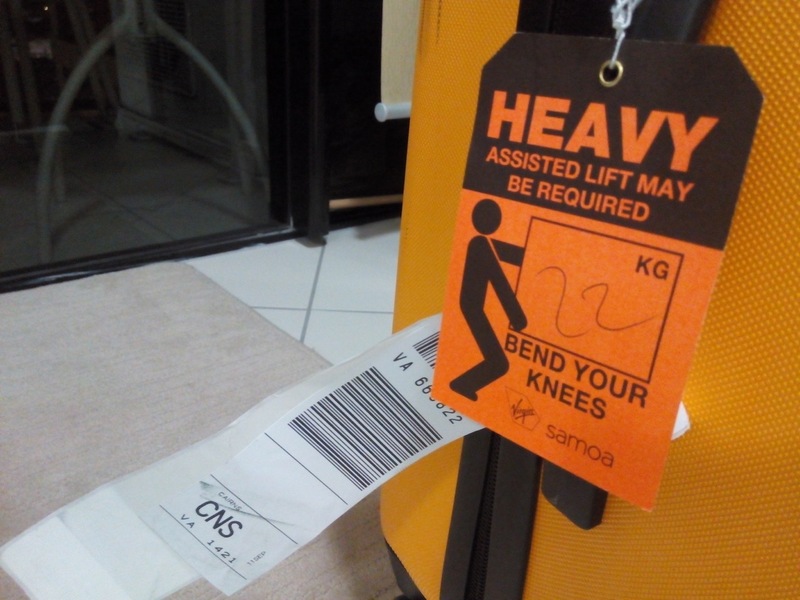 The airline put this orange warning tag on. The weight limit for one piece of checked luggage is 22 kg. And yes, my suitcase is right at the limit. Maybe I’ll get rid of some clothes or electronics or my first aid kid later, and become lighter. It wasn’t all tourism. 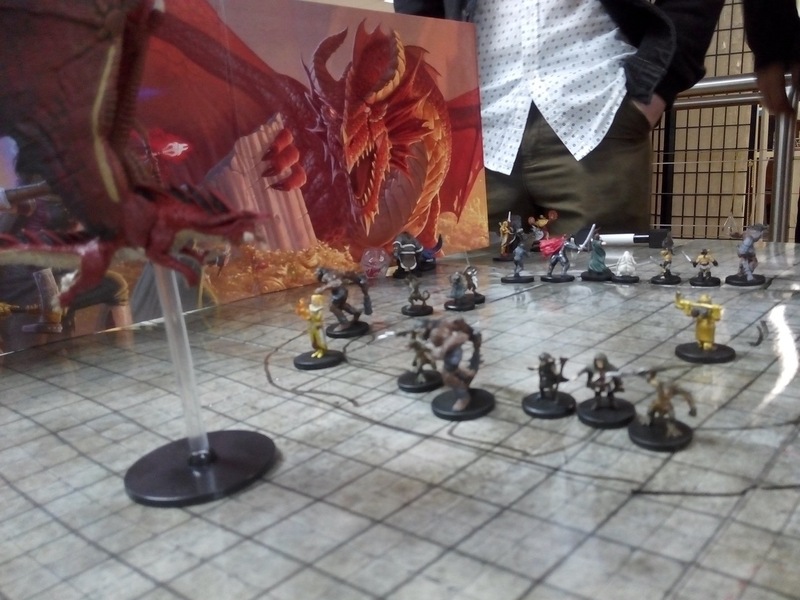 The night after we arrived, I hooked up with a local tabletop gaming group and played an introductory adventure for the 5th edition Dungeons & Dragons game. Counting the cab ride there and back, and the $5 admission fee, it was an expensive night of entertainment. But I figured it’s my last chance to play an RPG for a few months, since I seriously doubt I’m going to find anyone in Indonesia or Thailand to game with. 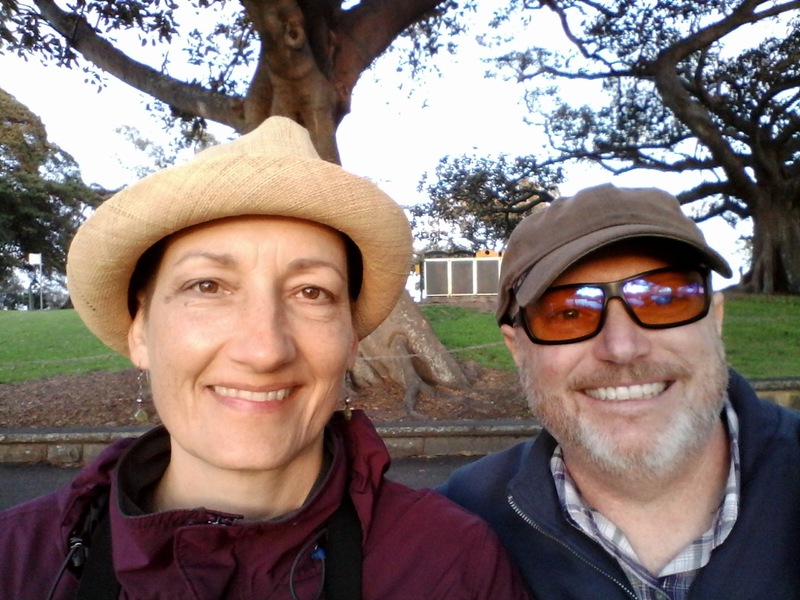 We went on a free walking tour of Sydney one day. Well, “free” in the sense that the tour guide is paid only in tips. And we tipped her well because she did a good job. Anyhow, here’s one of the stops on that tour. 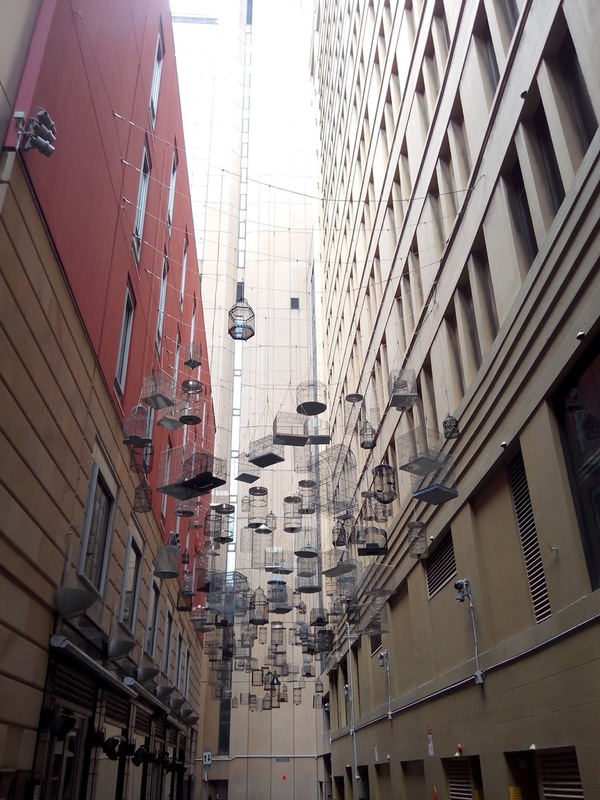 It’s an installation of empty bird cages representing all the bird species that Europeans have forced into extinction since arriving in Australia. 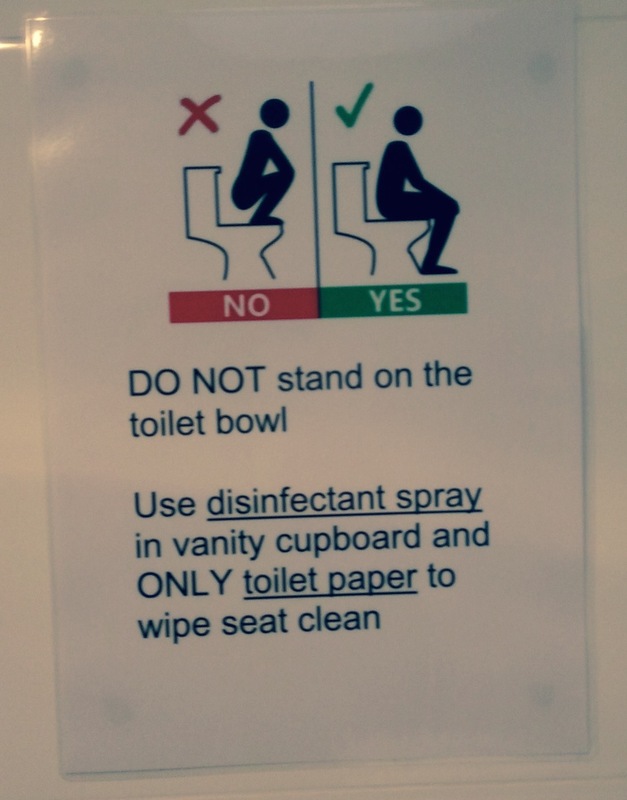 The Airbnb we stayed in must cater to people from a wide variety of backgrounds, because this sign was in each of the two bathrooms. Apparently some of their guests in the past didn’t know how to use a western style toilet. That’s a bit strange when you think that this same guests were able to sign up for an use Airbnb.com to find and pay for the lodging in the first place, and then use email and text messages to learn how to get there. But still they stand on the toilet like it’s a latrine, I guess. Every tourist must go home with a photo of the Sydney Opera House. Did you know the design was inspired by segments of an orange? 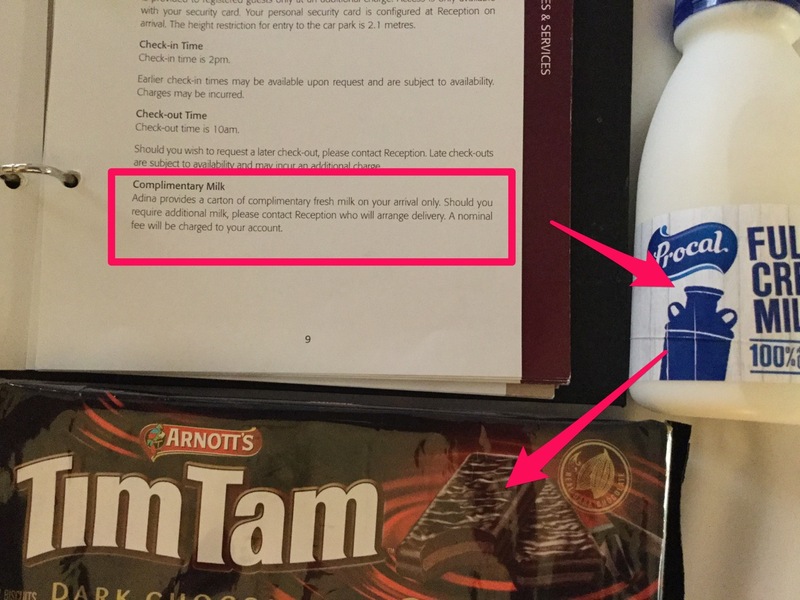 It’s common practice, we’ve learned, to provide a bottle of milk to guests of your hotel in Australia and New Zealand. Apparently, they think that drinking instant coffee is acceptable, but putting anything other than fresh local milk in it is a travesty. So everyone gives you one bottle of complimentary milk. Since I wasn’t about to drink instant coffee in a civilized city with so many espresso bars around, I drank the milk to wash down some Tim Tams. 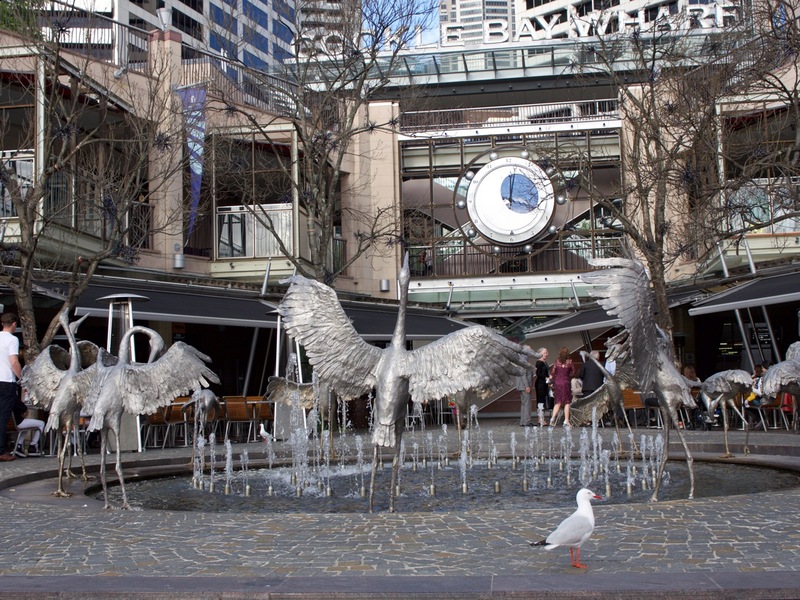 Here’s a fountain I liked that we saw when we walked around Darling Harbour. The gull apparently likes it, too. I wonder if he has any idea the sculptures are supposed to be birds.